HUNTSVILLE, Ala. — Bad news for troops hoping to feast on a pizza MRE in 2018. A problem with mass production has delayed the new meal offering, and it's unclear when or if the issue can be resolved. All Meals Ready-to-Eat must have a shelf-life of at least three years when stored at 80 degrees or below, explained Jeremy Whitsitt, deputy director of the combat feeding directorate at the Natick Soldier Research, Development and Engineering Center. To test this, MREs are placed in a 100-degree box for six months, simulating the 3-year span. 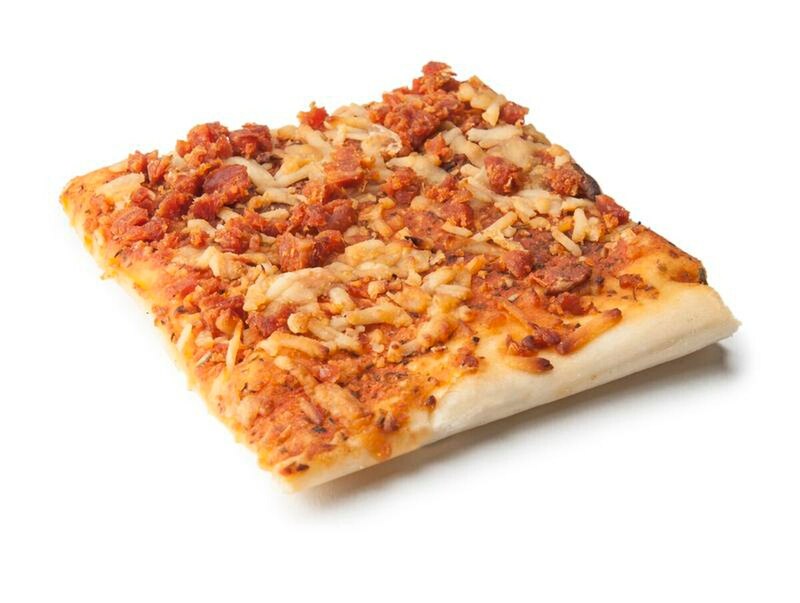 When the pizza MRE underwent this test it became too brown, Whitsitt said. "We're disappointed," he acknowledged but quickly added that roadblocks are not unexpected, especially "when developing something brand new and novel." It was not a safety issue, but "more a quality issue," he added. In other words, you could eat the brown pizza, but it's not something we really want to ship to our warfighters. Initial forecasts called for a 2018 launch of the pizza MREs, which were to come in both pepperoni and cheese varieties. Whitsitt declined to provide a new timeline. He said Natick has internal goals, but that he was hesitant to commit at this time. He noted that the lab-made pizza could withstand the life cycle, but that farming the production out to industry at a larger scale triggered the current dilemma and delay. For those bummed readers out there, here are three words to cheer you up: caffeinated beef sticks. Yes, they're truly on the agenda and coming soon to an MRE near you, Whitsitt said.